Juliana Mattos CorrÃªa,1 Matsuyoshi Mori,2 HeloÃ­sa Lajas Sanches,3 Adriana Dibo da .....  C. Y. Flores, C. Diaz, A. Rubert et al., âSpontaneous adsorption. 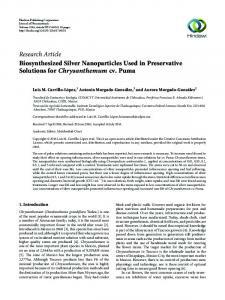 Activity of Biosynthesized Silver Nanoparticles in Combination with. Synthetic and Natural Fungicide Against Some Pathogenic Fungiâ . S. ROY. * and T.K. DAS. Feb 23, 2018 - López-Miranda, J. L., Vázquez, M., Fletes, N., Esparza, R. & Rosas, G. Biosynthesis of silver nanoparticles using a Tamarix gallica leaf. Controlled Deposition of Silver Nanoparticles in Mesoporous Thin Films: .... before the silver infiltration process. ... parameter a = 18.5 nm) and the outer circle. Correspondence should be addressed to Isis Andr´ea Venturini Pola Poiate; [email protected] Received 16 September 2014; Revised 23 December 2014; Accepted 23 December 2014 Academic Editor: Abdelwahab Omri Copyright © 2015 Juliana Mattos Corrˆea et al. This is an open access article distributed under the Creative Commons Attribution License, which permits unrestricted use, distribution, and reproduction in any medium, provided the original work is properly cited. Silver has been used in medicine for centuries because of its antimicrobial properties. 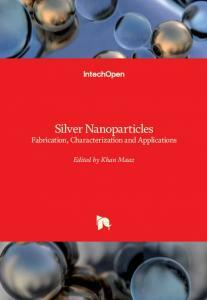 More recently, silver nanoparticles have been synthesized and incorporated into several biomaterials, since their small size provides great antimicrobial effect, at low filler level. Hence, these nanoparticles have been applied in dentistry, in order to prevent or reduce biofilm formation over dental materials surfaces. This review aims to discuss the current progress in this field, highlighting aspects regarding silver nanoparticles incorporation, such as antimicrobial potential, mechanical properties, cytotoxicity, and long-term effectiveness. We also emphasize the need for more studies to determine the optimal concentration of silver nanoparticle and its release over time. 1. Introduction Silver (Ag) ions or salts are known to have a wide antimicrobial effect [1–4] and they have been used for years , in different fields in medicine, including wound dressings , catheters , and prostheses . Besides being a potent antimicrobial, Ag has many advantages, such as low toxicity and good biocompatibility with human cells , long-term antibacterial activity, due to sustained ion release , and low bacterial resistance . With the advent of nanotechnology, silver nanoparticles (AgNPs) have been synthesized, and they have shown potent antimicrobial properties [12, 13]. AgNPs have demonstrated unique interactions with bacteria and fungi species [12, 14]; thereafter, they are widely used in medical arena, such as in wound sutures , endotracheal tubes , surgical instruments , and bone prostheses . AgNPs have also been applied in several areas of dentistry, as endodontics [19, 20], dental prostheses , implantology [22, 23], and restorative dentistry [24–26]. AgNPs incorporation aims to avoid or at least to decrease the microbial colonization over dental materials, increasing oral health levels and improving life quality. nanoparticles also possess unique toxicity mechanisms . Because of that, a better understanding of AgNPs safety is need, in order to increase their clinical use . Nanotechnology provides a wide range of possibilities to develop new antimicrobial materials . However, there are disadvantages, for example, color change, an important property of dental materials . In this review, we discuss AgNPs incorporation into dental materials, such as composite resin and adhesive systems, acrylic resin, root canal fillings, and implants, highlighting aspects regarding microorganism growth inhibition, cytotoxicity, and physical properties of these modified materials. solutions, rinsed with deionized water, dried, and irradiated with UV light from a high-pressure Hg lamp. This process allows producing samples with different Ag concentrations, depending on the AgNO3 solution concentration . Another difference is related to the form of AgNP obtainment. In some studies the particles are commercially available, so they are obtained directly from the producer [50–52]. In others, AgNPs are prepared by reduction of AgNO3 , with NaBO4 , polyvinylpyrrolidone , sodium citrate , and gallic acid , among others. One important step for the development of AgNPscontaining materials is their characterization. Many studies have analyzed the Ag dispersion [26, 28, 32, 40], through Transmission Electron Microscopy (TEM). This technique allows visualizing how AgNPs spread into the tested material, as well as to verify the particle size. According to Cheng et al. 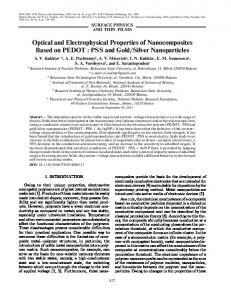 , NAg particles of ∼3 nm were clearly visible and well dispersed throughout the polymer matrix. These results were confirmed in a subsequent study , in which authors reported NAg sizes ranging from 2 to 5 nm. This very small size allows NAg penetration on dentinal tubules , which can represent the possibility of inactivating residual bacteria on dentine. Besides that, it has also been shown that AgNPs were well dispersed in the material with minimal appearance of nanoparticle aggregates [26, 32]. Another important feature to be analyzed is the minimum inhibitory concentration (MIC) of AgNPs. MIC is defined as the lowest concentration of antimicrobial agent at which 90% growth is observed in the medium . Hern´andez-Sierra et al. used the liquid dilution method to find the MIC of 25 nm-AgNPs against S. mutans strains, and the results showed an average MIC of 4.86 ± 2.71 𝜇g/mL, suggesting a higher antimicrobial effect of AgNPs. In a similar study, Espinosa-Crist´obal et al. tested different AgNPs sizes (8.4 nm, 16.1 nm, and 98 nm) and they reported higher MICs than the abovementioned study: 101.98 ± 72.03 𝜇g/mL, 145.64 ± 104.88 𝜇g/mL, and 320.63 ± 172.83 𝜇g/mL, respectively. This probably occurred because of the methodology, which included sucrose for S. mutans growing. Authors also verified that MICs were directly proportional to the particle size; it means, as bigger the size as higher the MIC. International Journal of Biomaterials have shown that AgNPs did not compromise the bond strength (𝑃 > 0.1), at the same time that it decreased metabolic activity on biofilm, compared to control group without AgNPs. In this study it was also observed reduction of CFU for total microorganisms, total streptococci, and mutans streptococci (𝑃 < 0.05). Li et al. performed a study incorporating of AgNPs, at 0.05% by mass, to an adhesive system, aiming to assess bacterial inhibition provided by this antimicrobial, in both short and long distance. It has been reported that AgNPs reduced CFU number and acid lactic production on biofilm over and away to the adhesive surface, evidencing that AgNPs-containing adhesives enable long-distance antibacterial potential. Another important aspect to be assessed is the biocompatibility of AgNPs-containing restorative materials. Accordingly, Zhang et al. have studied the effects of AgNPs incorporation, at 0.05% by mass, to a primer and an adhesive, regarding human gingival fibroblast viability. It has been shown that AgNPs addition did not affect the cytotoxicity of primer and adhesive tested, evidencing the clinical applicability of this antimicrobial. 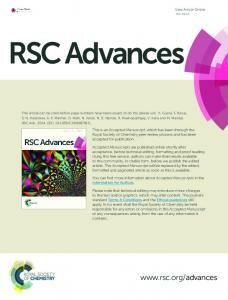 Based on abovementioned studies, it is possible to say that the antibacterial effects of AgNPs-containing restorative materials might decrease the development of recurrent caries, to increase the longevity of tooth restorations, and to be effective in decreasing the formation of bacterial biofilms on teeth and restorations, without compromising mechanical properties and cytotoxicity of composite resins and adhesive systems. 3 have been satisfactorily incorporated into polymers used as tissue conditioners and as denture base [82–84]. The action mechanisms of AgNPs-incorporated polymers is still unclear, since some authors attribute the antimicrobial effectiveness to the silver ions release [85, 86] and others to the direct contact between the material and the microorganisms . Acosta-Torres et al. developed a PMMA containing 1 𝜇g/mL of AgNPs and they compared this new compound to unmodified PMMA. It has been observed that PMMAAgNPs specimens showed significantly less Candida albicans adherence compared to PMMA (𝑃 < 0.05), demonstrating the antifungical potential of AgNPs incorporated to acrylic resin. Besides that, they evaluated the activity of mouse fibroblasts and human lymphocytes, and it has been shown that PMMA-AgNP compound does not present cytotoxity or genotoxicity. These results suggest that the novel acrylic resin incorporated with AgNPs could be developed as a denture base. In a study performed by Monteiro et al. AgNPs were incorporated in a commercial acrylic resin, in different concentrations (0.05%, 0.5%, and 5% of AgNPs, by mass). The authors evaluated the mechanical properties of the modified resin, as well of the unmodified one (0% of AgNPs). Thereunto, the flexural strength test was performed, and it was observed that all the groups presented very similar flexural resistance values, suggesting that AgNPs incorporation does not affect the mechanical properties of acrylic resin. When dentures are ill-fitted is recommended recovering his base with tissue conditioners, which are easily degradable with time and occasionally susceptible to microbial colonization . Thus, AgNPs incorporation could also be profitable in this material and not only in dentures base. Accordingly, Nam  has incorporated AgNPs into a commercial tissue conditioner, in the following concentrations: 0.1%, 0.5%, 1.0%, 2.0%, and 3.0%. Their inhibitory effect was evaluated against Staphylococcus aureus, Streptococcus mutans, and Candida albicans after 24 h and 72 h. The authors have reported that the modified tissue conditioner presented antimicrobial properties even at lower concentrations, that is, 0.1% (for S. mutans and S. aureus) and 0.5% (for C. albicans). 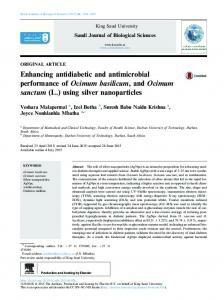 does not provide to gutta-percha an effective bactericidal potential . Accordingly, Iranian researchers  have introduced nanosilver-gutta-percha, as an attempt to improve the antibacterial effect of gutta-percha. The new material, which is standard gutta-percha coated with AgNPs, has demonstrated significant effect against Enterococcus faecalis, Staphylococcus aureus, Candida albicans, and Escherichia coli. Besides that, Shantiaee et al. have tested the biocompatibility of this new material, by comparing the cytotoxicity of nanosilver-coated gutta-percha and normal gutta-percha on mouse fibroblasts. In this study, after 24 hours, nanosilvercoated gutta-percha presented cytotoxicity similar to normal gutta-percha and, after one week, it reached the lowest level of cytotoxicity among the tested materials. Other important step in the endodontic treatment is the chemomechanical debridement of pulpal tissue and pathogenic bacteria. In this stage, irrigant solutions should be used, for dissolving tissue and disinfecting the root canal system . For this purpose, sodium hypochlorite (NaOCl) has been used for more than 70 years, and it remains as one of the most common solutions . However, if NaOCl passes beyond the apex, it is extremely toxic to the periapical tissues . In this context, Lotfi et al. performed a study comparing the antibacterial effect of NaOCl and AgNP solution against Enterococcus faecalis, which is a bacterium often isolated from failed endodontic treatment cases . Authors have observed that there were no significant differences among 5.25% NaOCl and 0.005% AgNPs, suggesting that this solution, in a remarkably lower concentration, possesses the same bactericidal effect as 5.25% NaOCl; hence, it could be used as a new intracanal irrigant. Another important endodontic material is the mineral trioxide aggregate (MTA), used in many indications such as perforations sealing, external/internal root resorption repair, and apexification [104, 105]. In spite of being a material of wide application, the antimicrobial properties of MTA are controversial, and they seem to be limited [106, 107]. Aiming to improve its antimicrobial potential, Samiei et al. modified MTA by adding AgNPs, at 1% weight. Its effect against oral bacteria and fungi species was assessed. Results have showed that AgNPs-containing MTA possesses higher antimicrobial effect against Enterococcus faecalis, Candida albicans, and Pseudomonas aeruginosa, compared to unmodified MTA. Although AgNP is a promising antimicrobial, there are only a few studies employing it in endodontic materials. And considering that endodontic treatment success is highly connected to the bacteria elimination, researches involving AgNPs incorporation to root canal filling materials and intracanal irrigators should be encouraged. Several measures have been proposed to avoid bacterial contamination, such as implant disinfection and aseptic surgical protocols; nevertheless, bacterial invasion often occurs after surgery . In order to prevent biofilm formation over implants surface, antibacterial coatings have been developed; however, most of them present poor long-term antibacterial action and also the possibility of generating resistant strains after prolonged use [110–112]. In this context, AgNPs incorporation to implant surface has been suggested [109, 113], since it would be possible to produce coatings with long-term antibacterial properties by controlling Ag release . In study performed by Zhao et al. , AgNPs were incorporated into titania nanotubes (TiO2-NTs) on Ti implants, in a process involving silver nitrate immersion and ultraviolet radiation. The antibacterial effect against Staphylococcus aureus was assessed, and results have shown inhibition of planktonic bacteria during the first several days. Moreover, AgNPs-coating Ti implants have presented ability to prevent bacteria adhesion for up to 30 days, which are considered sufficient time to prevent post-infection in early stages. In a similar study, Flores et al. have evaluated the antibacterial activity of AgNPs against Pseudomonas aeruginosa. It has been reported that the number of total cells found on AgNP-modified implants represents only 20% of those attached to unmodified surfaces. This data suggests that the incorporation of AgNPs on Ti implants is an efficient method to protect implant surface against pathogen colonization. As important as the antibacterial potential is the biocompatibility of these modified implants. Aiming to evaluate this property, Lu et al. have tested Ti implants incorporated with different concentrations of AgNPs (0.5, 1, 1.5, 2 M). For all the tested concentrations, osteoblasts started to adhere on the coatings after 1 day of culture and spread well until 7 days of culture. However, after this, the inhibitory effect of 1 M Ag on cell proliferation became significant, suggesting that AgNP coatings with low amounts of silver were more favorable for osteoblasts growth. Titanium (Ti) implants, widely used in dentistry, usually present infection around their surface, which remains one of the most important complications in Implantology [49, 108]. 8. Future Perspectives As shown in the previous paragraphs, AgNPs-containing dental materials present good antimicrobial properties (Table 1). However, much is still to be discovered. One of the most important experiments to be performed is to apply the bench results on in vivo studies [29, 52], since laboratory conditions do not exactly reproduce oral conditions. Other aspect to be investigated is the long term effectiveness of AgNPs applied on dental materials [32, 51], whereas a long lasting antimicrobial potential of them is desirable. and fungi, including S. mutans, C. albicans, P. aeruginosa, E. faecalis, and S. aureus, among others, which could decrease the occurrence of secondary caries, fungical infection, fails on endodontic treatment, and dental implant losses. Although AgNP is a promising antimicrobial to be used in dentistry, its application on some areas, as endodontics and implantology, remains scarce; thereafter, we mostly encourage studies on these fields. AgNP has also been proved to be biocompatible with mammalian cells, suggesting that its application on dental materials does not represent a threat to human health. 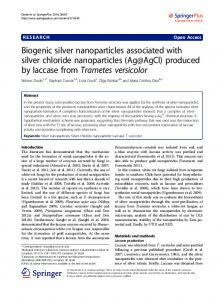 However, more studies are necessary to determine the optimal concentration of this silver compound, in order to guarantee the antimicrobial effect without increasing its cytotoxicity. Moreover, further studies are needed to investigate the Ag ion release and long-term properties of the new AgNPcontaining dental materials. We also encourage researchers to study and elucidate the best ways of silver incorporation as well as the possible negative influence of its addition in dental materials, especially regarding color changes and mechanical properties. 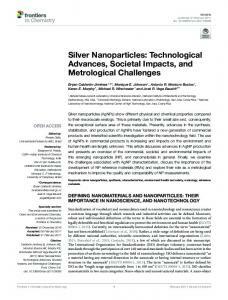 References  A. Pan´acˇek, L. Kv´ıtek, R. Prucek et al., “Silver colloid nanoparticles: synthesis, characterization, and their antibacterial activity,” The Journal of Physical Chemistry B, vol. 110, no. 33, pp. 16248– 16253, 2006. 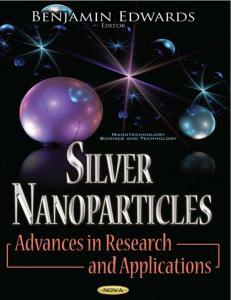 J. S. Kim, E. Kuk, K. N. Yu et al., “Antimicrobial effects of silver nanoparticles,” Nanomedicine: Nanotechnology, Biology, and Medicine, vol. 3, no. 1, pp. 95–101, 2007. S. Pal, Y. K. Tak, and J. M. Song, “Does the antibacterial activity of silver nanoparticles depend on the shape of the nanoparticle? 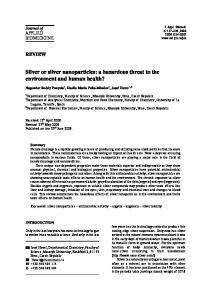 A study of the gram-negative bacterium Escherichia coli,” Applied and Environmental Microbiology, vol. 73, no. 6, pp. 1712– 1720, 2007. K.-J. Kim, W. S. Sung, S.-K. Moon, J.-S. Choi, J. G. Kim, and D. G. Lee, “Antifungal effect of silver nanoparticles on dermatophytes,” Journal of Microbiology and Biotechnology, vol. 18, no. 8, pp. 1482–1484, 2008. I. Chopra, “The increasing use of silver-based products as antimicrobial agents: a useful development or a cause for concern?” Journal of Antimicrobial Chemotherapy, vol. 59, no. 4, pp. 587–590, 2007. V. Alt, T. Bechert, P. Steinr¨ucke et al., “An in vitro assessment of the antibacterial properties and cytotoxicity of nanoparticulate silver bone cement,” Biomaterials, vol. 25, no. 18, pp. 4383–4391, 2004. U. Samuel and J. P. Guggenbichler, “Prevention of catheterrelated infections: the potential of a new nano-silver impregnated catheter,” International Journal of Antimicrobial Agents, vol. 23, no. 1, pp. S75–S78, 2004. G. Gosheger, J. Hardes, H. Ahrens et al., “Silver-coated megaendoprostheses in a rabbit model—an analysis of the infection rate and toxicological side effects,” Biomaterials, vol. 25, no. 24, pp. 5547–5556, 2004. T. V. Slenters, I. Hauser-Gerspach, A. U. Daniels, and K. M. Fromm, “Silver coordination compounds as light-stable, nanostructured and anti-bacterial coatings for dental implant and restorative materials,” Journal of Materials Chemistry, vol. 18, no. 44, pp. 5359–5362, 2008.
International Journal of Biomaterials resin containing silver nanoparticles for dentures,” International Journal of Nanomedicine, vol. 7, pp. 4777–4786, 2012. D. R. Monteiro, L. F. Gorup, A. S. Takamiya, E. R. de Camargo, A. C. R. Filho, and D. B. Barbosa, “Silver distribution and release from an antimicrobial denture base resin containing silver colloidal nanoparticles,” Journal of Prosthodontics, vol. 21, no. 1, pp. 7–15, 2012. O. Dianat and M. Ataie, “Gutta-percha coated with nanosilver particles,” Invention registered number: 56019, 2008. T. Liu, X. Song, Z. Guo, Y. Dong, N. Guo, and X. Chang, “Prolonged antibacterial effect of silver nanocomposites with different structures,” Colloids and Surfaces B: Biointerfaces, vol. 116, pp. 793–796, 2014. J. F. Hern´andez-Sierra, F. Ruiz, D. C. Cruz Pena et al., “The antimicrobial sensitivity of Streptococcus mutans to nanoparticles of silver, zinc oxide, and gold,” Nanomedicine: Nanotechnology, Biology, and Medicine, vol. 4, no. 3, pp. 237–240, 2008. L. F. Espinosa-Crist´obal, G. A. Mart´ınez-Casta˜no´ n, R. E. Mart´ınez-Mart´ınez, J. P. Loyola-Rodr´ıguez, J. F. Reyes-Mac´ıas, and F. Ruiz, “Antibacterial effect of silver nanoparticles against Streptococcus mutans,” Materials Letters, vol. 63, no. 29, pp. 2603–2606, 2009. L. Zhao, P. K. Chu, Y. Zhang, and Z. Wu, “Antibacterial coatings on titanium implants,” Journal of Biomedical Materials Research Part B: Applied Biomaterials, vol. 91, no. 1, pp. 470–480, 2009. K. Zhang, M. A. S. Melo, L. Cheng, M. D. Weir, Y. Bai, and H. H. K. Xu, “Effect of quaternary ammonium and silver nanoparticle-containing adhesives on dentin bond strength and dental plaque microcosm biofilms,” Dental Materials, vol. 28, no. 8, pp. 842–852, 2012. M. A. S. Melo, S. F. F. Guedes, H. H. K. Xu, and L. K. A. Rodrigues, “Nanotechnology-based restorative materials for dental caries management,” Trends in Biotechnology, vol. 31, no. 8, pp. 459–467, 2013. L. Cheng, K. Zhang, M. D. Weir, H. Liu, X. Zhou, and H. H. K. Xu, “Effects of antibacterial primers with quaternary ammonium and nano-silver on Streptococcus mutans impregnated in human dentin blocks,” Dental Materials, vol. 29, no. 4, pp. 462– 472, 2013. T. J. Fruits, J. A. Knapp, and S. S. Khajotia, “Microleakage in the proximal walls of direct and indirect posterior resin slot restorations,” Operative Dentistry, vol. 31, no. 6, pp. 719–727, 2006. F. H. Coelho-de-Souza, G. B. Camacho, F. F. Demarco, and J. M. Powers, “Fracture resistance and gap formation of MOD restorations: influence of restorative technique, bevel preparation and water storage,” Operative Dentistry, vol. 33, no. 1, pp. 37–43, 2008. S. P. Samuel, S. Li, I. Mukherjee et al., “Mechanical properties of experimental dental composites containing a combination of mesoporous and nonporous spherical silica as fillers,” Dental Materials, vol. 25, no. 3, pp. 296–301, 2009. S. C. Bayne, J. Y. Thompson, E. J. Swift Jr., P. Stamatiades, and M. Wilkerson, “A characterization of first-generation flowable composites,” The Journal of the American Dental Association, vol. 129, no. 5, pp. 567–577, 1998. D. C. Watts, A. S. Marouf, and A. M. Al-Hindi, “Photopolymerization shrinkage-stress kinetics in resin-composites: methods development,” Dental Materials, vol. 19, no. 1, pp. 1–11, 2003. 7  J. L. Drummond, “Degradation, fatigue, and failure of resin dental composite materials,” Journal of Dental Research, vol. 87, no. 8, pp. 710–719, 2008. M. M. Zalkind, O. Keisar, P. Ever-Hadani, R. Grinberg, and M. N. Sela, “Accumulation of Streptococcus mutans on light-cured composites and amalgam: an in vitro study,” Journal of Esthetic Dentistry, vol. 10, no. 4, pp. 187–190, 1998. L. Papagiannoulis, A. Kakaboura, and G. Eliades, “In vivo vs in vitro anticariogenic behavior of glass-ionomer and resin composite restorative materials,” Dental Materials, vol. 18, no. 8, pp. 561–569, 2002. S. Imazato, “Antibacterial properties of resin composites and dentin bonding systems,” Dental Materials, vol. 19, no. 6, pp. 449–457, 2003. N. Beyth, A. J. Domb, and E. I. Weiss, “An in vitro quantitative antibacterial analysis of amalgam and composite resins,” Journal of Dentistry, vol. 35, no. 3, pp. 201–206, 2007. J. M. Antonucci, D. N. Zeiger, K. Tang, S. Lin-Gibson, B. O. Fowler, and N. J. Lin, “Synthesis and characterization of dimethacrylates containing quaternary ammonium functionalities for dental applications,” Dental Materials, vol. 28, no. 2, pp. 219–228, 2012. E. A. Kidd, F. Toffenetti, and I. A. Mj¨or, “Secondary caries,” International Dental Journal, vol. 42, no. 3, pp. 127–138, 1992. K. Zhang, L. Cheng, S. Imazato et al., “Effects of dual antibacterial agents MDPB and nano-silver in primer on microcosm biofilm, cytotoxicity and dentine bond properties,” Journal of Dentistry, vol. 41, no. 5, pp. 464–474, 2013. F. Li, M. D. Weir, A. F. Fouad, and H. H. K. Xu, “Effect of salivary pellicle on antibacterial activity of novel antibacterial dental adhesives using a dental plaque microcosm biofilm model,” Dental Materials, vol. 30, no. 2, pp. 182–191, 2014. J. L. Ferracane, “Resin composite—state of the art,” Dental Materials, vol. 27, no. 1, pp. 29–38, 2011. A. M. Diaz-Arnold, M. A. Vargas, K. L. Shaull, J. E. Laffoon, and F. Qian, “Flexural and fatigue strengths of denture base resin,” Journal of Prosthetic Dentistry, vol. 100, no. 1, pp. 47–51, 2008. K. Bulad, R. L. Taylor, J. Verran, and J. Fraser McCord, “Colonization and penetration of denture soft lining materials by Candida albicans,” Dental Materials, vol. 20, no. 2, pp. 167– 175, 2004. N. Boscato, A. Radavelli, D. Faccio, and A. D. Loguercio, “Biofilm formation of Candida albicans on the surface of a soft denture-lining material,” Gerodontology, vol. 26, no. 3, pp. 210– 213, 2009. H. F. Oliveira Paranhos, C. H. Silva-Lovato, R. F. de Souza et al., “Effect of three methods for cleaning dentures on biofilms formed in vitro on acrylic resin,” Journal of Prosthodontics, vol. 18, no. 5, pp. 427–431, 2009. E. Budtz-Jørgensen, P. Mojon, J. M. Banon-Cl´ement, and P. Bachni, “Oral candidosis in long-term hospital care: comparison of edentulous and dentate subjects,” Oral Diseases, vol. 2, no. 4, pp. 285–290, 1996. Z. N. Al-Dwairi, “Prevalence and risk factors associated with denture-related stomatitis in healthy subjects attending a dental teaching hospital in North Jordan,” Journal of the Irish Dental Association, vol. 54, no. 2, pp. 80–83, 2008. L. P. Samaranayake and R. G. Nair, “Oral Candida infections—a review,” Indian Journal of Dental Research, vol. 6, no. 3, pp. 69– 82, 1995.
the outcome of conservative re-treatment,” Oral Surgery, Oral Medicine, Oral Pathology, Oral Radiology, and Endodontics, vol. 85, no. 1, pp. 86–93, 1998. J. C. Baumgartner and W. A. Falkler, “Bacteria in the apical 5 mm of infected root canals,” Journal of Endodontics, vol. 17, no. 8, pp. 380–383, 1991. J. C. Baumgartner, S.-U. Khemaleelakul, and T. Xia, “Identification of spirochetes (treponemes) in endodontic infections,” Journal of Endodontics, vol. 29, no. 12, pp. 794–797, 2003. U. Sj¨ogren, D. Figdor, S. Persson, and G. Sundqvist, “Influence of infection at the time of root filling on the outcome of endodontic treatment of teeth with apical periodontitis,” International Endodontic Journal, vol. 30, no. 5, pp. 297–306, 1997. Y. Shantiaee, F. Maziar, O. Dianat, and F. Mahjour, “Comparing microleakage in root canals obturated with nanosilver coated gutta-percha to standard gutta-percha by two different methods,” Iranian Endodontic Journal, vol. 6, no. 4, pp. 140–145, 2011. M. Torabinejad, C. U. Hong, F. McDonald, and T. R. Pitt Ford, “Physical and chemical properties of a new root-end filling material,” Journal of Endodontics, vol. 21, no. 7, pp. 349–353, 1995. M. Torabinejad, C. U. Hong, T. R. P. Ford, and J. D. Kettering, “Antibacterial effects of some root end filling materials,” Journal of Endodontics, vol. 21, no. 8, pp. 403–406, 1995. J. Kreth, D. Kim, M. Nguyen et al., “The antimicrobial effect of silver ion impregnation into endodontic sealer against Streptococcus mutans,” The Open Dentistry Journal, vol. 2, pp. 18–23, 2008. Y. Shantiaee, O. Dianat, H. Mohammad Khani, and A. Akbarzadeh Baghban, “Cytotoxicity comparison of nanosilver coated gutta-percha with Guttaflow and normal gutta-percha on L929 fibroblast with MTT assay,” Beheshti University Dental Journal, vol. 29, pp. 62–68, 2011. D. Kandaswamy and N. Venkateshbabu, “Root canal irrigants,” Journal of Conservative Dentistry, vol. 13, no. 4, pp. 256–264, 2010. R. M. Clarkson and A. J. Moule, “Sodium hypochlorite and its use as an endodontic irrigant,” Australian Dental Journal, vol. 43, no. 4, pp. 250–256, 1998. J. W. Harrison, T. A. Svec, and J. C. Baumgartner, “Analysis of clinical toxicity of endodontic irrigants,” Journal of Endodontics, vol. 4, no. 1, pp. 6–11, 1978. I. N. Rˆoc¸as, J. F. Siqueira Jr., and K. R. N. Santos, “Association of Enterococcus faecalis with different forms of periradicular diseases,” Journal of Endodontics, vol. 30, no. 5, pp. 315–320, 2004. F. Abbasipour, V. Akheshteh, A. Rastqar, H. Khalilkhani, S. Asgari, and M. Janahmadi, “Comparing the effects of mineral trioxide aggregate and calcium enriched mixture on neuronal cells using an electrophysiological approach,” Iranian Endodontic Journal, vol. 7, no. 2, pp. 79–87, 2012. S. Sahebi, M. Nabavizade, V. Dolatkhah, and D. Jamshidi, “Short term effect of calcium hydroxide, mineral trioxide aggregate and calcium-enriched mixture cement on the strength of bovine root dentin,” Iranian Endodontic Journal, vol. 7, no. 2, pp. 68–73, 2012. T. J. Stowe, C. M. Sedgley, B. Stowe, and J. C. Fenno, “The effects of chlorhexidine gluconate (0.12%) on the antimicrobial properties of tooth-colored ProRoot mineral trioxide aggregate,” Journal of Endodontics, vol. 30, no. 6, pp. 429–431, 2004.
International Journal of Biomaterials  E. P. Hernandez, T. M. Botero, M. G. Mantellini, N. J. McDonald, and J. E. N¨or, “Effect of ProRoot MTA mixed with chlorhexidine on apoptosis and cell cycle of fibroblasts and macrophages in vitro,” International Endodontic Journal, vol. 38, no. 2, pp. 137– 143, 2005. R. O. Darouiche, “Treatment of infections associated with surgical implants,” The New England Journal of Medicine, vol. 350, no. 14, pp. 1422–1429, 2004. J. Hardes, H. Ahrens, C. Gebert et al., “Lack of toxicological side-effects in silver-coated megaprostheses in humans,” Biomaterials, vol. 28, no. 18, pp. 2869–2875, 2007. J. G. E. Hendriks, J. R. Van Horn, H. C. Van Der Mei, and H. J. Busscher, “Backgrounds of antibiotic-loaded bone cement and prosthesis-related infection,” Biomaterials, vol. 25, no. 3, pp. 545–556, 2004. D. Campoccia, L. Montanaro, and C. R. Arciola, “The significance of infection related to orthopedic devices and issues of antibiotic resistance,” Biomaterials, vol. 27, no. 11, pp. 2331–2339, 2006. C. R. Arciola, L. Baldassarri, D. Campoccia et al., “Strong biofilm production, antibiotic multi-resistance and high gelE expression in epidemic clones of Enterococcus faecalis from orthopaedic implant infections,” Biomaterials, vol. 29, no. 5, pp. 580–586, 2008. W. Chen, Y. Liu, H. S. Courtney et al., “In vitro anti-bacterial and biological properties of magnetron co-sputtered silvercontaining hydroxyapatite coating,” Biomaterials, vol. 27, no. 32, pp. 5512–5517, 2006. X. Lu, B. Zhang, Y. Wang et al., “Nano-Ag-loaded hydroxyapatite coatings on titanium surfaces by electrochemical deposition,” Journal of the Royal Society Interface, vol. 8, no. 57, pp. 529–539, 2011. 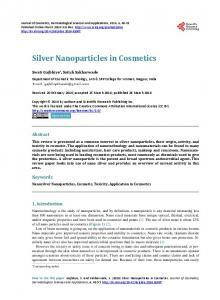 Report "Silver Nanoparticles in Dental Biomaterials"